Buying a home is one of the largest financial decisions people make in their lifetime. Let us help you get the answers you need to make the right decision. Why should I buy, instead of rent ? Owning your home is an investment. Over time, owning a home builds equity which can be worth more if your home value appreciates. By contrast, you don't build any equity when you rent. What is the difference between a mortgage broker and a mortgage lender ? A mortgage broker is a middleman who acts as a go-between for the borrower and the lenders, so you are always working indirectly with the lender. 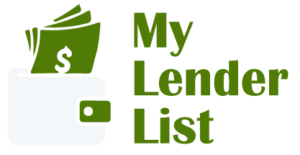 By working with My Lender List we connect you with the company that is actually lending you the money to purchase or refinance your home. What is my first step in obtaining a home loan? The first step is to apply for pre-qualification — you'll provide Home Community Mortgage with information on your income, credit and bills, and we'll tell you whether you pre-qualify for a loan and give you general idea of how much it might be for. This typically gives buyers an advantage in the home-buying and bidding process. Buying a home is often the biggest purchase people make in their lifetime, so it's important to look at your total financial situation and decide what payments you will be comfortable with. What is the difference between conforming and nonconforming loans ? A conforming loan follows the guidelines set forth by Fannie Mae and Freddie Mac and generally has a loan limit of $417,000 in the 48 contiguous states (certain high cost areas have higher limits). A non-conforming mortgage may be for a higher amount than the limit set on conforming loans. In some instances the term may also refer to a loan where the borrower has credit issues or unusual documentation. Non-conforming loans generally have higher interest rates and you may need to put down more cash to secure your loan. Jumbo loans are non-conforming loans. How much house can I afford ? We'll look at your income and bills, and then plug those numbers into calculations to determine the percentage of your income that can be devoted to your housing payment. We'll also take a look at other factors in your housing costs, like current interest rates, local property taxes and homeowners' insurance costs, as well as the mortgage payment itself. Visit our Mortgage Calculators page to try out some different scenarios. There are so many different types of mortgages out there — how do I know which one I should choose ? Each type of loan has different benefits and advantages. At My Lender List, we work with you to help you fully understand the home-financing options available. We'll consider your current financial situation including your short- and long-term financial goals to assess which option might be best for you. How does the mortgage application process work ? Check out our “What To Expect in the Mortgage Process” page for in-depth details on how your loan actually gets processed. What do I need to take with me when I apply for a mortgage ? Our “What You'll Need To Get Started” page gives you a list of the basic documents we'll need to review during the application process. As we continue through approval, our underwriters may request more information from you. This is perfectly normal and does not mean there is any problem with your application. Do I need homeowner's insurance ? Proof of homeowners' (or hazard) insurance is required at closing. Start shopping around early in the process. An experienced agent at KB Home Insurance Agency can give you an idea of how much insurance will be for different types of homes, and can be reached at 1-800-446-3371. I'm a first-time homebuyer. What about the special incentives for me ? We participate in several affordable mortgage programs which are designed to encourage homeownership across the country and to make buying a first home a low-stress process. We'll talk with you about the programs available in our area and any federal programs you may qualify for. What happens after I've applied for my loan ? Once your application has been completed and submitted to the processors and underwriters, it's carefully reviewed and all your documentation is verified. We may need to ask you for more information, but that's not unusual. The sooner you can get that information back to us, the faster your application will be processed. Once your loan is approved, a closing date is set up and we'll review what happens and what you'll need to do to finalize the transaction. For more details on the loan process, visit the “What To Expect From The Mortgage Process” page. What are closing costs ? What actually happens at closing ? Closing is a scheduled time to make sure all the final loan documents are in order. You will sign all the necessary documents to record the title and transfer ownership of the home to your name. You’ll need to provide proof of your homeowners insurance. The closing agent will go over any payments you may owe. Take your time, look at each page and ask any questions you may have. Once you sign everything- you’ll be a new homeowner! Example of documents you'll receive at closing: Settlement statement, HUD-1 form Truth-in-Lending statement Mortgage note Mortgage or deed of trust Binding sales contract Keys to your new home Visit the Mortgage Term Glossary for more information on the terms listed above.